The layout choice for your project is just as important as the actual tile you select. 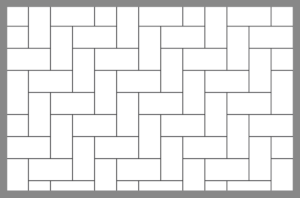 A simple 3×6 white subway for example will look totally different from the standard brick layout, when a herringbone or basket weave is chosen. Standard brick layout using a plain, white, 3×6 subway tile. 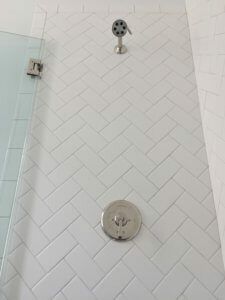 Herringbone layout using the same plain white 3×6 subway tile. Layout can affect the cost of installation and the amount of excess tile that is needed to achieve your design. 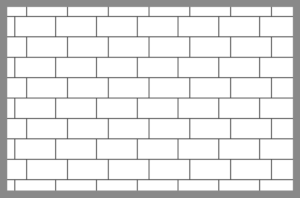 Your tile professional will recommend that you order 10-15% over what the actual measurements call for. This is NOT a ploy to sell more tile, but to account for the cuts that must be made during installation, and for the inevitable breakage during shipping and normal handling. Uninstalled tile is much more delicate than it is once installed. However don’t let this hinder your creativity! 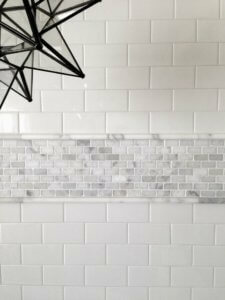 Remember that tile is a long-term choice in home décor so go for the extra few dollars and choose what you want! Below are 10 different layout choices for you to consider. ¾” Running Bond Rectangular (aka ¾ brick lay): order 10-15% material. 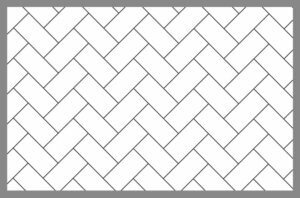 Basket Weave: order 10% additional material. 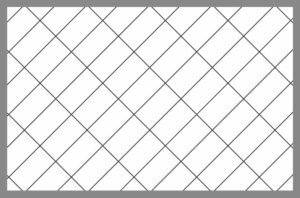 Rectangular Angled Grid: order 20% additional material. 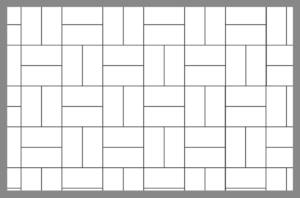 Linear Rectangular Grid: order 10% additional material. 45 Degree Herringbone: order 15% additional material. 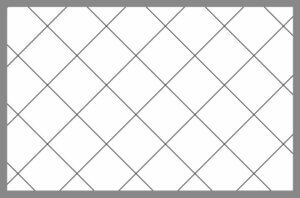 Linear Square Grid: order 10% additional material. Diamond: order 20% additional material. Refer to https://www.inchcalculator.com/tile-paver-layout-patterns/for more information on tile layout and measurements. As always, we love to have you browse our showroom! When you are ready to sit down with a Design Consultant simply call or fill out the Appointment Request form located on our website. See you soon!